The Fashion Guide Blog : 20 Shoes to make you sparkle this Christmas. The weekend is here, Christmas is around the corner and in one week it's the last night of the year! Uf, time goes by so quickly! 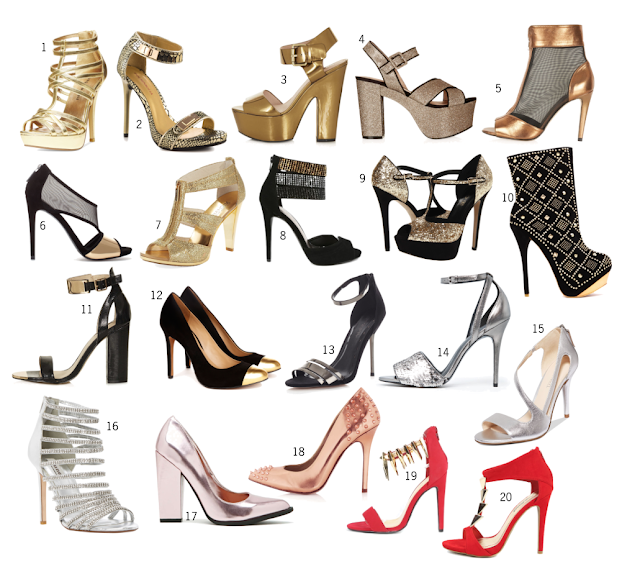 Here you have my very best selection of shoes that will make you sparkle in this festive season!! Have a great weekend!! Thanks so much Conchy! Keep following!